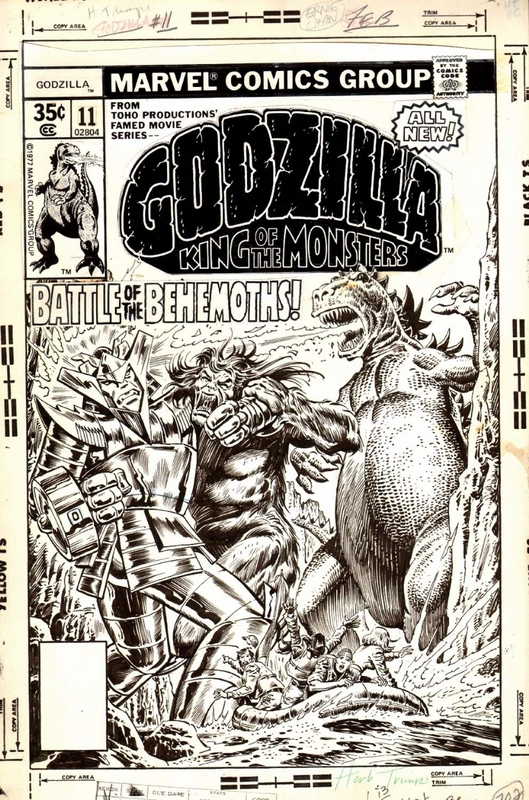 Posting some art in tribute to the great Herb Trimpe. after his falling out with Marvel. 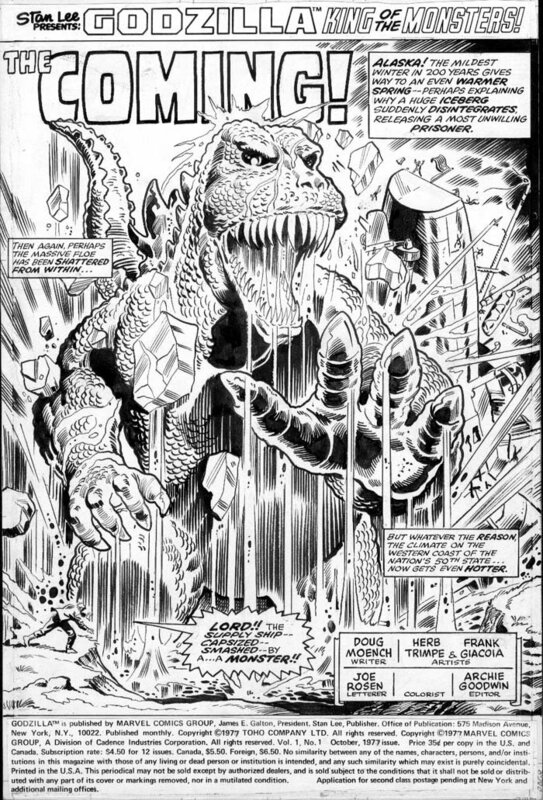 A character that was a personal favorite that Trimpe put his mark on was Godzilla. 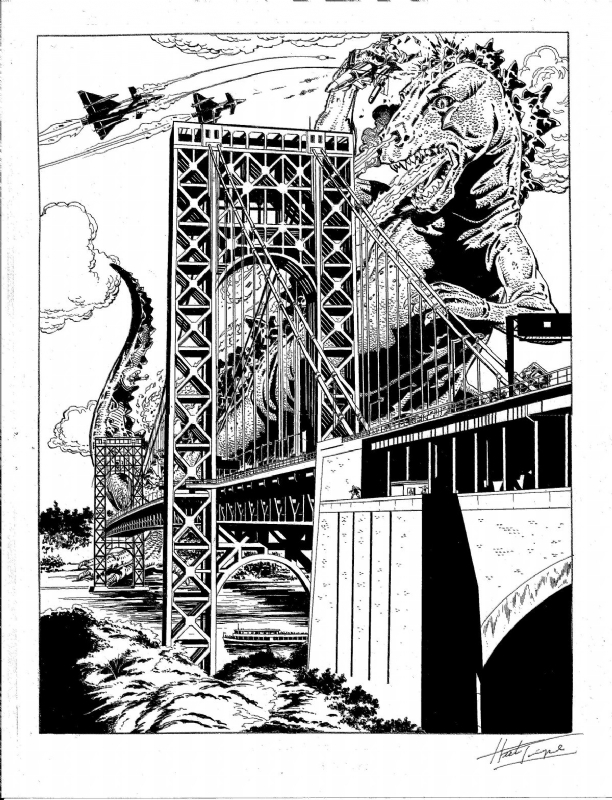 Godzilla art courtesy of ComicArtFans.com. 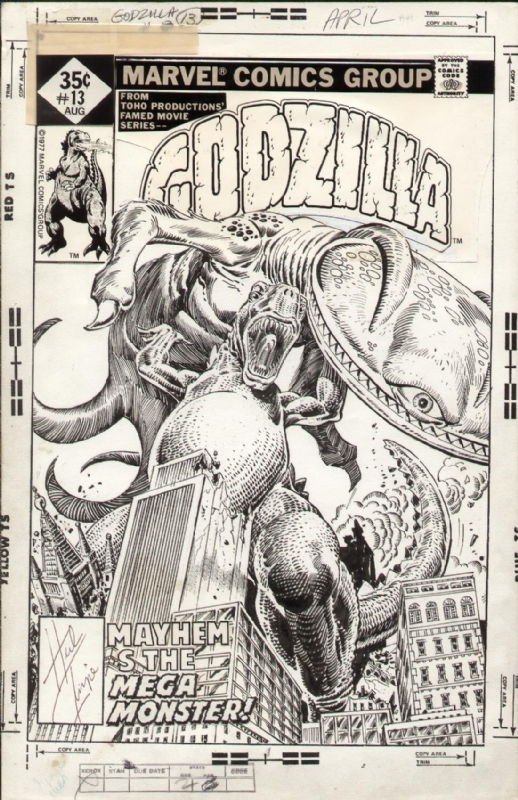 Ever the fanboy, the following pic is a page ripped out of a comic book I had Trimpe sign the last time he was at a comic con in Minnesota. 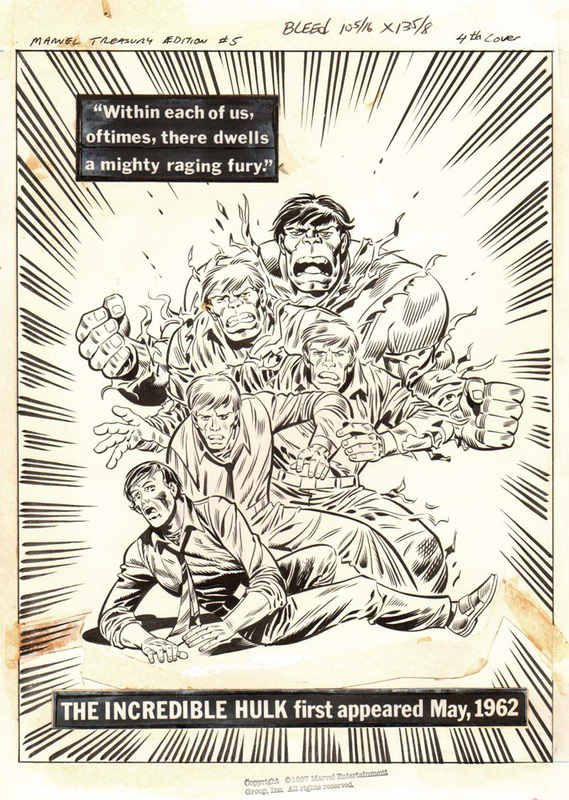 In the early 1970s Marvelmania International produced Self-Portrait kits featuring seven of Marvel Comics top artists – Jack Kirby, John Romita, John Buscema, Gene Colan, Marie Severin, Jim Steranko, and Herb Trimpe. Last but not least, the following is a piece that the New York Times ran in 2000. 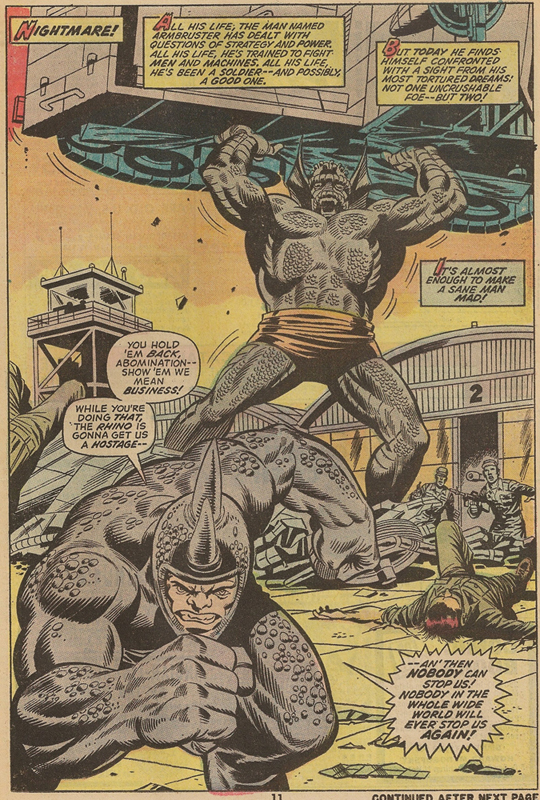 In it Trimpe chronicles getting unceremoniously laid off from Marvel (after close to 30 years), picking himself up and charting a new career path. In 1996, after 29 years as an artist for Marvel Comics, I got fired — 56 years old, two children still in college and no job. Things had started to get shaky two years before. 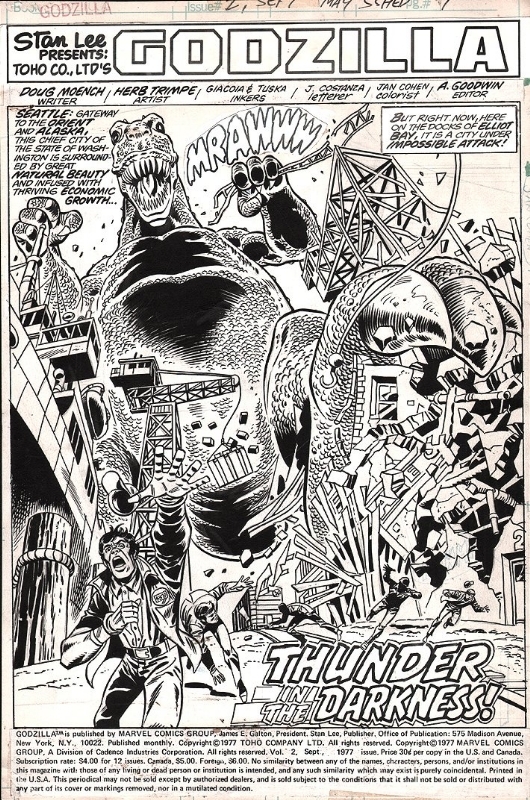 The American comics industry was taking hits from changing tastes in the youth market — teenage boys had plenty of other entertainment options, mostly electronic — and Marvel couldn’t seem to lure the general population. 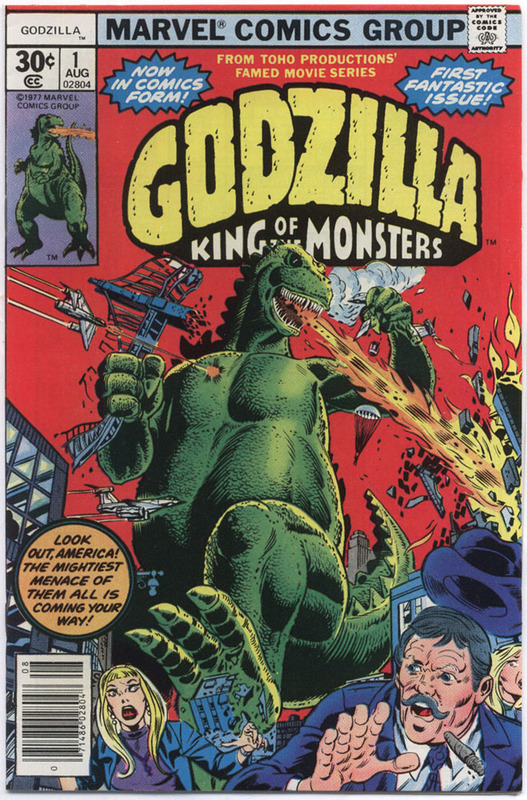 Never mind that in Japan comic books sell in the millions to all ages. It also didn’t help that Ronald Perelman’s acquisition binge overextended the company, or that Marvel flooded the market with spinoffs and endless No. 1 issues, devaluing the collections of the faithful. By 1995, a new wave of artists and writers had supplanted the older pros, and my employer was giving me less and less work. 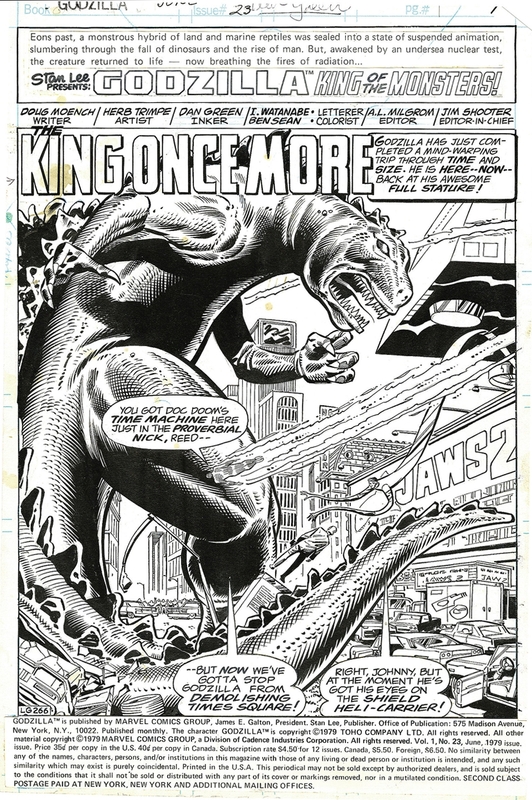 I had joined Marvel in 1967, after a year in Vietnam and three years as a student at the School of Visual Arts in Manhattan. 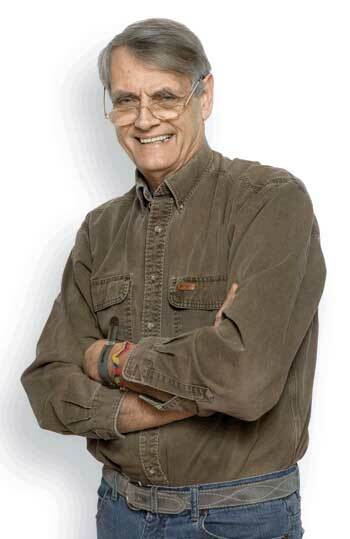 Stan Lee, then the editor in chief, hired me as a production assistant. 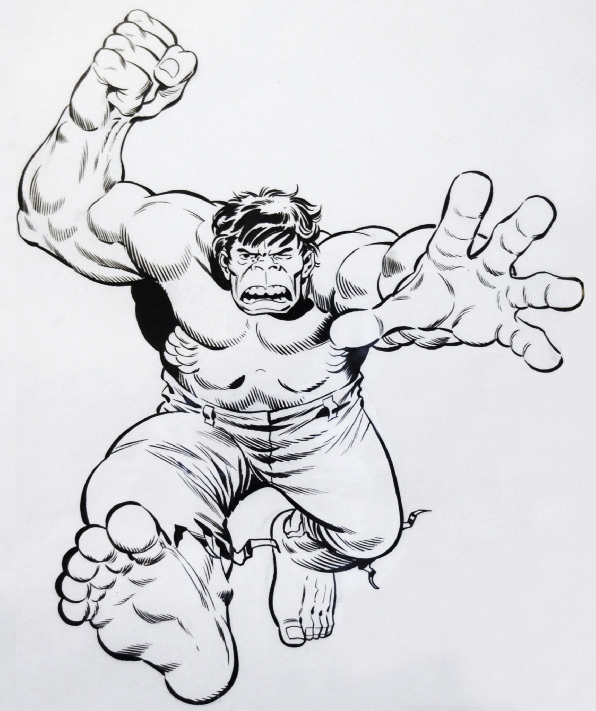 I would draw comics, including the Incredible Hulk and the Fantastic Four, over the next three decades — the last two from my home studio in Kerhonkson, 120 miles from Manhattan, where I live with my wife, Linda Fite, a writer (“Claws of the Cat”) I met at Marvel. I have kept a journal more for therapeutic reasons than anything else. 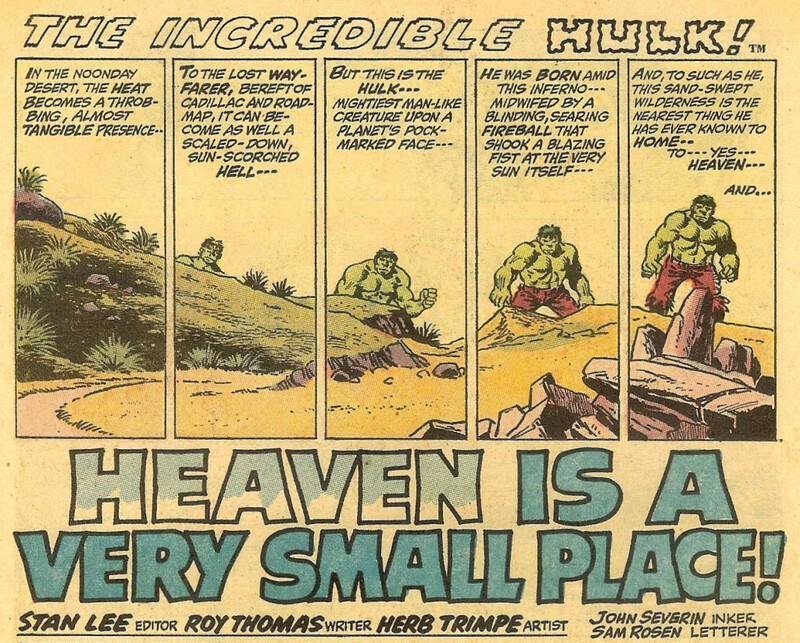 These excerpts recount my journey, from Hulk to seventh-grade art teacher. March 15, 1995: F.F.’s been cut. 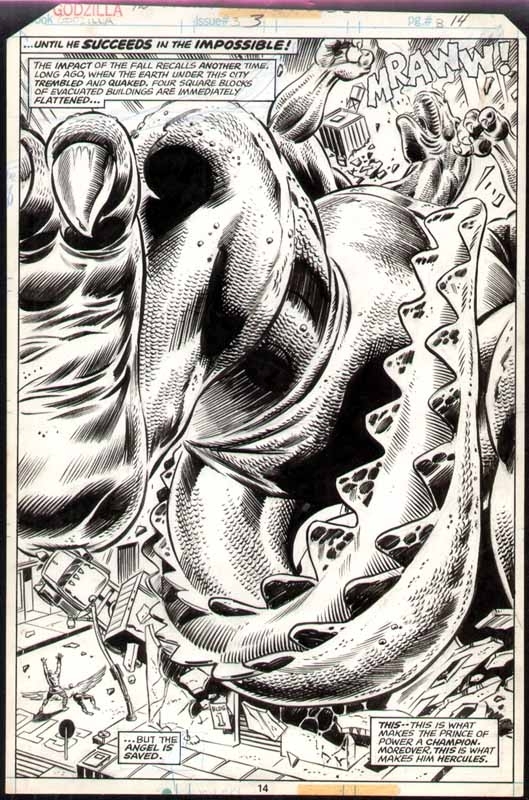 Fantastic Four Unlimited is the only regular comic I’m drawing. With pages reduced, my work is cut in half. Called Nel, who apologized. He’d try to get me more work to meet the four-page weekly quota, but things don’t look good. There’ve been a bunch of firings. April 1: I’m beginning to hate drawing comics. It becomes harder and harder to compete with the new creative “stars.” Experience doesn’t seem to matter. May 27: Turned 56 yesterday. Sent in my application today to the State University of New York’s Empire State College. The Center for Distance Learning offers credit for life experience and independent study for people like me, who can’t attend regular classes. Not sure what I’ll major in. Not art. Maybe history. Aug. 10: Accepted at Empire State. A mentor will help design a degree program. Nov. 20: F.F. Unlimited was canceled this week. No warning. Went down to New York yesterday. All the editors either in meetings or out to lunch. Talked to human resources at Marvel today. The lady seemed embarrassed. Said maybe I should consider retiring. I told her I wasn’t going to hold the gun to my own head. They’d have to shoot me themselves. With a family, I need the health care benefits and income. Dec. 15: No matter what I say or who I call or write at Marvel, I can’t get assigned to another book. I’ve tried reason, outrage, guilt trips and begging. Nada. I haven’t been able to scrounge together enough work to meet my monthly quota. The place is a shambles. When I press, they admit sales are down and so is morale. The scuttlebutt is that more layoffs are coming. Jan. 3, 1996: More firings. About 19 people gone, including Nel. Jan. 8: Worked on my own comic strip, about a minor league baseball team. I’m calling it “Chicken Scratch.” It’s going very slowly. I guess I’m not that interested. What to do? I’m trying to be convinced that change is good, and I will be guided toward positive ends. The upheaval is great at times, almost unbearable. Jan. 11: Finally talked to my tutor for my first Empire State course, Far Eastern history. He’s assigned two texts, and we’ll confer once a week. What a long, drawn-out process — the writing, the paperwork, trying to connect with the tutors for each course. If I didn’t have all this time and money invested, I’d quit. Jan. 23: The job thing is a downer, but I’m generally excited and optimistic. 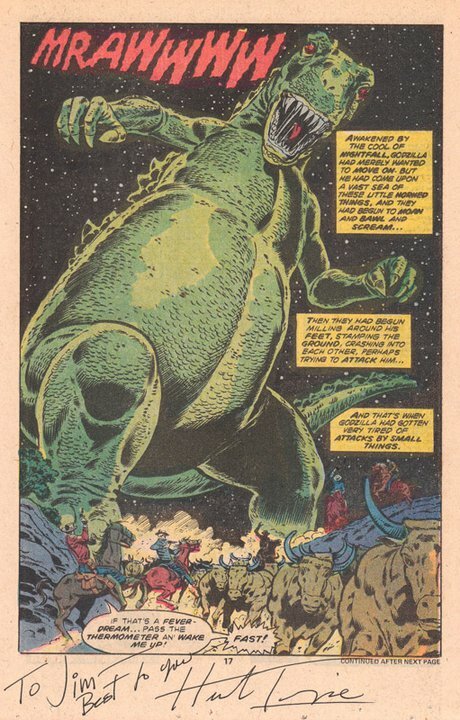 Tom DeFalco at Marvel called after dinner to see how I was doing. When he was editor in chief, he kept me working during another slow period when all the new editors were hiring their pet artists. Great chat. He knows some people at King Features. Jan. 26: Rumors, rumors and more rumors. Marie says she’s having the same trouble I am — getting just the odd coloring job, no substantial work at all. The checks keep coming, but this is getting weirder and weirder. It helps to talk to someone in the same boat. Feb. 3: I feel like I’m turning into somebody else. Feb. 16: Marie called. They have “terminated her contract.” The blade swings closer. I’m just waiting for the other shoe to drop — right on my drawing board. Feb. 18: Wrote again to the editor in chief of Marvel, offering to take on any work. Can’t get anyone to answer my calls. March 5: I’ve decided to go for a B.A. in art. It’s the shortest route to a degree. I’m thinking about teaching. March 7: Spring two weeks away. Packaged strip with cover letter to submit to five syndicates. March 14: Got a rejection slip from United Press International in one week! It’s hard to see how they even looked at it. Their guidelines said 8 to 12 weeks. One week! Gad! I knew it had to be, so why get bent out of shape? One down, four to go. March 22: Contacted or attempted to contact the art department heads at four schools — Marist, Bard, Vassar and SUNY, New Paltz. Things slid downhill in the afternoon; got real depressed. Then I got a rejection from King Features. That makes three to go. Saw the comet on the way to Kingston. April 2: Where’s Marvel? Linda says call. Marie says no, why bother? Let it ride. My Order of Battle is just about wrapped up — the list of projects I laid out in November to work on. I don’t know exactly what to do. Worked in the yard with Linda in the afternoon. April 29: A bright spot. Got a letter from Tribune Media Services. A submissions editor liked the strip and is going to pass it on. May 1: Lo and behold, got a call from Marvel! A message about a job on X-Factor — breakdowns. Six months of nothing, and now this — a one-shot job of loose pencil drawings. The call is upsetting. May 13: Well, the wait is over. Today it came, via Federal Express. I got fired by mail, effective June 8. No warning, no phone call. The letter was delivered with another package I was expecting from Marvel. You couldn’t tell what it was by the envelope. A stealth termination. Opened it up. Bang! Gotcha! Ha! I’ve been waiting a long time, and still they caught me off guard. May 20: Wrote a letter to Marvel asking for more severance pay. It struck me that I should send it Fed- Ex on their account number. Small thing, but it made me feel good. May 25: Got rejection from Tribune Media. Oh, well, I did have a hope. Think I’ll rework the strip and submit it again in a year. The entire comics field is in trouble. But I’ve got to do something. June 7: Revenge is still in my heart. June 8: Stone Ridge Library Fair. At a booth, selling old comics, the hundreds that Marvel sent me over the years, to help the library fund. Kids would ask, “Are any of these ones you drew?” Signed a few autographs for some middle-age die-hard fans. Ironic, eh, considering the situation. June 9: Final strip rejection yesterday — from L.A. Times Syndicate. The plan is to go to unemployment tomorrow. June 10: It hits me today about this being the first weekday of no official job. It is the first time since before the Air Force 34 years ago. An interesting sensation. Like hanging over the edge of a cliff. But maybe I can fly. June 11: Went to Kingston to sign up for unemployment. The line was a real mixed bag of humanity. Felt awkward, but the staff was patient and helpful. The thought of going for job interviews depresses me. But the thought of never working again depresses me even more. June 26: Went to a job interview at a company that makes sports memorabilia and other stuff. They want an artist with experience in Quark and Photoshop and all that computer stuff. Hey, I can draw rings around your Adobe Illustrator! They don’t know or care. July 17: The session at the N.Y.S. Department of Labor was very stimulating. I’m amazed at how many programs are available. I took a bunch of notes. My head is filled with possibilities. I’ve been classified as a dislocated worker. There is a possibility of having my education paid for, at least in part, by either the state or the V.A. or both. July 23: I feel pretty positive lately. I like the schooling, just the idea of it. I also enjoy the writing. July 28: Sent out fliers to Extreme, Dark Horse, Malibu, Fantagraphics, Topps, DC and about five other comics companies. Aug. 1: Made four calls for jobs. If I’m to put comics behind me, I need to go through this. I wanted a journey into the unknown, and I’ve got it. Aug. 11: I can’t stop obsessing about going to the Department of Labor. One of the people there wanted to cut my benefits. There’s something about dealing with government agencies that makes you feel like a criminal. What am I going to do about work? A freelance thing in Bedford looks like a possibility. I feel flat on everything — school, running, building models. I weigh 165 and worry about getting heavier. I’ve been having a lot of disturbing dreams. Sept. 1: Picked up the van at the body shop; old thing made new. Picked up the Underwood at the typewriter shop; another old thing made new. The question is, can an old thing like myself be made new? Sept. 14: I’ve got the Empire State stuff planned for the year. Computer graphic design, college algebra and a primitive art course this fall. Then Renaissance art, Far Eastern history II and an English lit survey class next semester. That should do it for enough credit hours for the B.A. Like the scarecrow in “The Wizard of Oz,” I think I need that piece of paper. At least I’ll be accomplishing something this year. Oct. 3: Wrote a letter to the D.O.L. to try to get assistance in taking Empire State classes in Quark Express, Adobe Illustrator and Photoshop, explaining that learning those skills will increase my chances of finding full-time work. Oct. 5: Linda went to New Paltz to see Mose Allison in concert. I just couldn’t bring myself to go. I don’t feel like being with people. Hate to answer those “How’s it going?” questions. Oct. 7: The computer graphics course is going pretty well. The Adobe Illustrator exercises are simple, but the computer aspect of the whole business is so cold. The lines are cold, the tone is cold. And it seems so silly to be drawing with a mouse and software when I can do it faster and better by hand. Dec. 15: I am so grouchy with Linda, criticize her for every little thing. She drives me nuts with her implacable calm and what-me-worry? demeanor. I think she’s in denial. Dec. 18: Got next semester’s courses lined up, including a couple of study groups in New Paltz. I like being in class, so I’m looking forward to that, even driving across the mountain in January and February. Jan. 29, 1997: Sometimes I just want to walk out of the house and keep going. I feel extraneous. Despite all my interests and enthusiasms, I guess I still buy into that notion of man as breadwinner. I can intellectually deal with not contributing income to the family, but emotionally it’s another matter. It gnaws at me. March 1: Talked to an adviser in the art department at SUNY about applying for the master of fine arts program. I was not encouraged. She thought I should take some preliminary painting courses. I don’t have the time. March 11: Ron Perelman and Carl Icahn are at each other’s throats over Marvel. March 14: Took a bunch of paintings to Kingston to have slides made to submit with my application to SUNY, New Paltz. The head of the department seemed to have a snotty attitude about my commercial art background. May 1: Was not accepted into the M.F.A. program at SUNY. I figured. May 23: Sent in my application to SUNY, New Paltz, for the master of professional studies in humanistic education program, designed for educators and human service professionals. Considers the whole person — mind, body and spirit. It seems to center on an issue that is not normally found in our institutions, and that is compassion. June 9: We all went to the Empire State graduation ceremony at Rockland Community College. It was really wonderful. The hall was filled with families, including many kids of graduates. The graduates were encouraged to say a few words. Some of their stories of accomplishment were very touching. One guy bounded up to get his diploma and yelled: “Yo! I’m a freakin’ miracle!” It was great. June 13: Was accepted into the program in humanistic education. Aug. 25: First day of school. Everybody seemed to know everybody else, except me. Sept. 17: Had to give up my duties as deacon at St. John’s Episcopal Church because of the full-time student workload. There’s very little time for journal writing. Plus, with a new focus, I don’t feel the need as much. March 17, 1998: The amount of reading is monstrous. I’m determined to beat my C-plus/B-minus high school average. May 21: It’s cool to have classroom buddies. My teacher friends and professors have encouraged me to consider public education. They think I would have something to offer. July 13: Ha! A judge approves a reorganization plan for Marvel Entertainment Group so it can emerge from bankruptcy protection. Jan. 18, 1999: My student teaching, through Pace University in Pleasantville, starts tomorrow. Half a semester in elementary school, half a semester in high school. I take the National Teachers Examination core battery test on Saturday to get certified. Six hours’ worth. I did the practice test this morning, including getting up at 6 and beginning at 7:30, just like the real thing. I did O.K. on two sections, but the professional-knowledge part was iffy. Jan. 19: First day of school, at Truman Moon School in Middletown. I’m student-teaching kindergarten and first grade. Greg, the regular art teacher who will take me under his wing, briefed the kids on the color wheel and how it works. They are extremely cute. Greg handles these kids very well, and they behave with respect. It is important to set guidelines and stick to the rules. I can see a certain face has to be adopted. Jan. 21: I can see myself as I observe, a detached kind of thing, and I wonder what I am doing here. All those years in the rather isolated position of a commercial artist, and now, at 59, this. Jan. 26: Greg is using Picasso’s Blue Period to teach the kids about cool colors. I love it when a kid says, “Pablo Picasso!” I got a hug at the end of the day from a kid who said he was going to miss me until the next class. I still haven’t gotten names down. Five classes a day, 25 classes a week. That’s a lot of kids. Feb. 8: The kids don’t listen to me. Well, a few do. The restrictions are tight. Against the wall, hats off, no getting up, noise to a minimum — teacher as cop. I don’t really like it. Feb. 10: I’m beginning to hate this, but I’m not quitting. Teachers in the grad seminar class are very supportive. Many said last night that student teaching was the most miserable experience they’d had. March 2: The lesson on making kites is working well. My Pace evaluator, Jack, came to observe today. It was Mrs. B.’s class, which was the noisiest, rudest, most raucous they’ve ever been. They did a good job, but I looked pretty bad, which is what I was. Maybe public school is not for me. I don’t understand discipline, and man, can these kids jerk you around. Greg says it will come in time. I’m not convinced. March 12: My last day at Truman Moon. I’m not looking back. The kids have been awesome and exhausting. Some didn’t understand I was temporary. “Aren’t you going to come back?” they asked. Very cute. March 16: First day at Washingtonville High School. The day seems to be without as much pressure as elementary school. I’m jumping right in. Will begin the Chinese art project tomorrow. March 22: A couple of kids already know which buttons to push. March 25: Had fun. Apprehensive as always, but the two new projects in commercial art and printmaking are getting some lift under their wings. Landscapes are coming nicely. Some excellent stuff. How can one day leave you feeling so rotten, and the next, like, “Hey! I can do this!”? March 26: Good news! I passed all three of the core battery sections, scoring higher than the national average. All I need to do is get through student teaching. 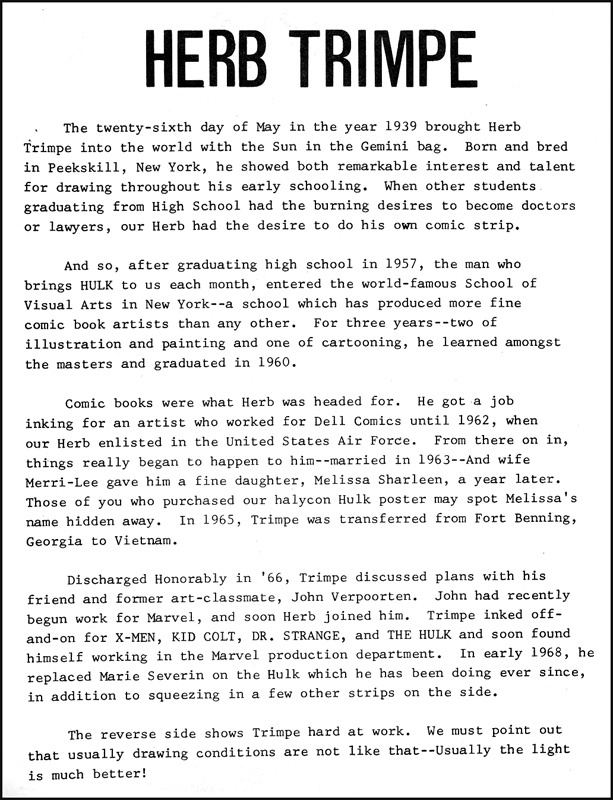 April 6: The Chronicle of Higher Education has an ad for a job at Savannah College of Art and Design in Georgia — professor of sequential art. I’ve got a strong body of published work, and I’m a teacher. It sounds perfect for me. April 15: All goes well. The last two days have been great. Wrapping up the Chinese landscapes. It’s amazing how fantastic some of the work is! Better than I could do. May 7: Got a letter from human resources at Savannah. They are “very interested.” They want me to go down to visit, maybe teach a workshop. May 15: Went to a teachers’ job fair. Left resumes with several school districts looking for art teachers. We’ll see what comes of it. Requirements for my master’s almost wrapped up. May 18: Last class at SUNY, New Paltz. Grade point average, not counting this class, is 3.96. May 26: Birthday again. Beats the alternative. From 0 to 60. June 3: Flew down to Savannah yesterday. The visit didn’t seem to gel. June 4: Feeling unsettled about Savannah. One of the guys in the department was very excited that I might teach there. Most of the others present were lukewarm or chilly. No matter what goes down, that school could really use me — or someone like me. Not a one had any field experience to speak of. July 1: Sent a resume in response to a newspaper ad for an art position at Eldred Central School in Sullivan County. This is the first of a new-generation resume that excludes dates that can pinpoint my age. Vern and others had advised me to do this. They look for the age thing, he says. Gee-whiz, golly, I thought age discrimination was illegal! July 7: Flew back to Savannah to teach a workshop as part of the job application process. Great time with the students. We’ll get back to you, they say. July 9: The Eldred principal, Ivan Katz, called today. Asked if I could come in for an interview on Tuesday. Told him we were going to the beach tomorrow. He said, “How about today?” So I drove over. Nice guy — loves the Hulk. An amazing school — like something out of “Father Knows Best.” Built in 1941, brick, with high ceilings and the old slate blackboards. Lots of varnished wood trim and parquet floors. Neat. July 13: Haven’t enjoyed the vacation (Bethany Beach, Del. ), obsessing about whether somebody will offer a job. I keep calling home to see if there have been any messages on the machine. Finally, there was a message from Eldred to give them a call. Yes! Nothing from Savannah. July 19: Called Savannah. The department chairman said there never was really a job, the ad was an old ad, run by mistake, blah, blah, blah. Sorry, hope you weren’t inconvenienced, and so on. Talk about backpedaling. July 20: Met with the Eldred superintendent, Candace Mazur. I sat on the front steps for a few minutes before the meeting, and I noticed the sign in front was painted in the school colors — green and gold, the same as my high school. Their mascot is a yellow jacket, ours was a hornet. I was my usual overtalkative self, but she didn’t hold it against me. She offered the position. Seventh-grade art, remedial math and a class with special-ed kids. It feels nice to be wanted. I feel pretty good about teaching in a public school, like maybe I can make a contribution. That’s corny. Sept. 8: First day of class at Eldred. Up at 5 a.m. Very foggy on Route 17. It’s a little over an hour, door-to-door, but I enjoy the transition time. Even though today is more or less an orientation day, I got them drawing the last 20 minutes. The kids are great, a little rambunctious, but it seemed almost too easy. Sept. 13: Monday morning. Man, it’s early. Forgot my lunch, my wallet and my money. My lessons are organized, but my life isn’t. Bruce, the high school art teacher, says I should put my car keys and wallet in the fridge with the lunch bag. He’s got 30 years of teaching experience, so I listen to everything he says. The class came up with rules for conduct. Assigned a dictionary person. If an unfamiliar word arises, that person will look it up. We’ll keep a list. Also, introduced the riddle of the week. We get until Friday to figure it out. Winners get a fancy refrigerator magnet. Sept. 14: Reviewing basic elements of art, which are part of state guidelines. I didn’t know what they were myself until I started teaching. I explain, they draw examples. Seems a little boring to me. Sept. 16: Had to have a little talk with a student. Some are very accomplished at being passive-aggressive. Down to a science, in fact, regular Einsteins at it. I tend to cut the kids a lot of slack. I told them in the beginning they would have more freedom in this class than others, because of the workshop environment. They are beginning to run with that ball. I should have kept my big mouth shut. Sept. 21: I think I’m suffering from post-job-getting depression today. It’s like, O.K., here you are, now what? The kids are having a good time with the diorama. I showed them how to make palm trees out of brown wrapping paper and construction paper. Sept. 24: Something like an anxiety attack upon arriving. It slipped away as things got moving, but I felt shaky. Maybe I am too old for this. The kids were wound up. Maybe they sensed something. I’m trying to develop that certain “face,” but it doesn’t come natural. Sept. 27: A couple of kids were really off the wall today. I suppose I should write them up. I have refrained from doing that because they calm down after a talking-to. I know disruptions take away from the rest of the class. But if the class is a minicommunity, which I believe it is, doesn’t the class as a whole have a responsibility toward the one, just as much as the one has a responsibility toward the class? In society, I’m not sure it’s right to remove the offender, and everyone else goes along, business as usual. Everyone has to be responsible. Sept. 28: Feeling pretty good today, and the class went extremely well. Angels all. I concluded that the way the class acts is in response to the way the teacher acts in various subtle ways. The trick is to keep positive no matter what. I struggle with this. Oct. 15: Teaching is like flying a plane. You leave school one day feeling like you’re spiraling down toward the trees, expecting that the next day the crash will come. You brace yourself for the impact, only to find that things have leveled out at treetop height, and you climb and enjoy the remainder of the flight. Oct. 22: Ordered a varsity jacket today. Green and gold with my old baseball number, 5. Nov. 4: Second-period art class observed and evaluated by Ivan, the principal, today. The kids were perfect, and I didn’t bribe them. Postevaluation meeting went well. He thinks I can teach. I felt pretty good. Nov. 5: Friday. Half-day today. If Ivan had been here today he would have fired me. I had two kids on the floor who wouldn’t get up, the occasional missile across the room, endless interruptions. I gave up. Are real teachers supposed to say that? Dec. 1: Feeling very positive the last couple of weeks. Administration and staff very supportive. Got my varsity jacket today. Full circle. Skidmore College: In the University Without Walls, two advisers help each student develop avenues of study. Classes can be taken with traditional students on campus, in Saratoga Springs, N.Y., or at institutions close to where students reside. Online courses are also offered by Skidmore and other institutions, and credit is given for experiences like working in a Head Start classroom. Applicants can apply year round. (518) 580-5450; uww@skidmore.edu; www.skidmore.edu. State University of New York, Empire State College: Founded for nontraditional students seeking a bachelor’s or master’s degree, Empire State allows students to enroll any time of the year, except August, part or full time. A mentor is assigned to help create an individualized program, which can include classes at one of 45 study centers in the state as well as tutorial help for courses. Credits are given for “college-level learning gained from life experience,” according to the literature. (212) 647-7800 or (518) 587-2100; cdl@sln.esc.edu; www.esc.edu. Thomas Edison State College: Advisers in the Distance and Independent Adult Learning Program help map out a course of study that can include classes online or guided by texts and video, and work study. Students create courses with the help of a faculty member. Proctored examinations are on campus, in Trenton, N.J., or at designated sites. Applications are accepted at any time. (609) 984-1150; admissions@call.tesc.edu; www.tesc.edu. 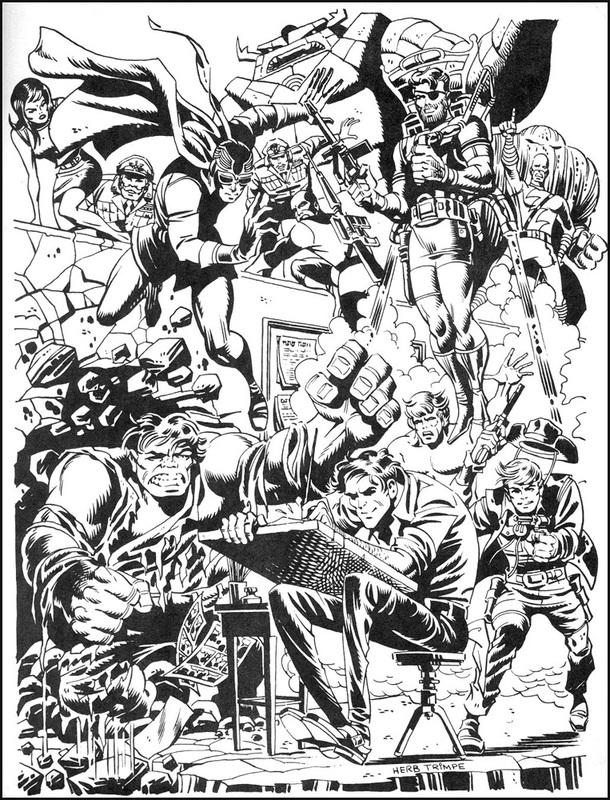 New York Times piece from marvelheroeslibrary.com. 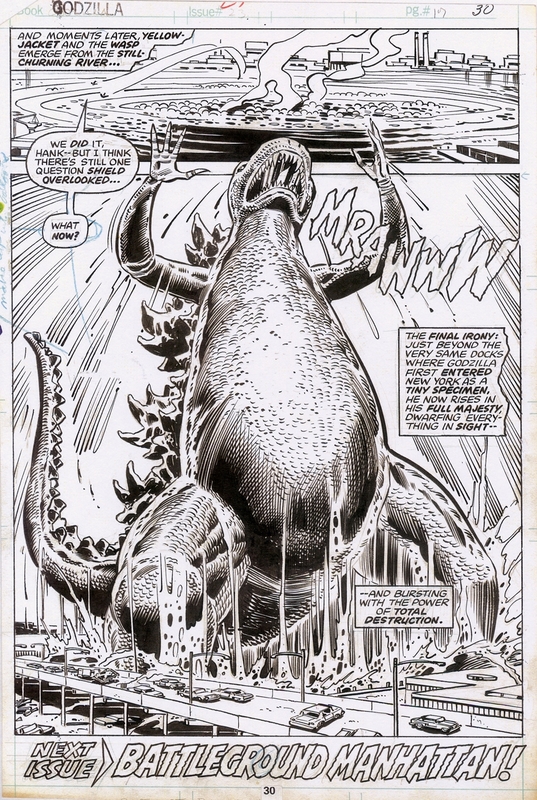 For more of Trimpe’s phenomenal artwork, check out Comic Art Fans. 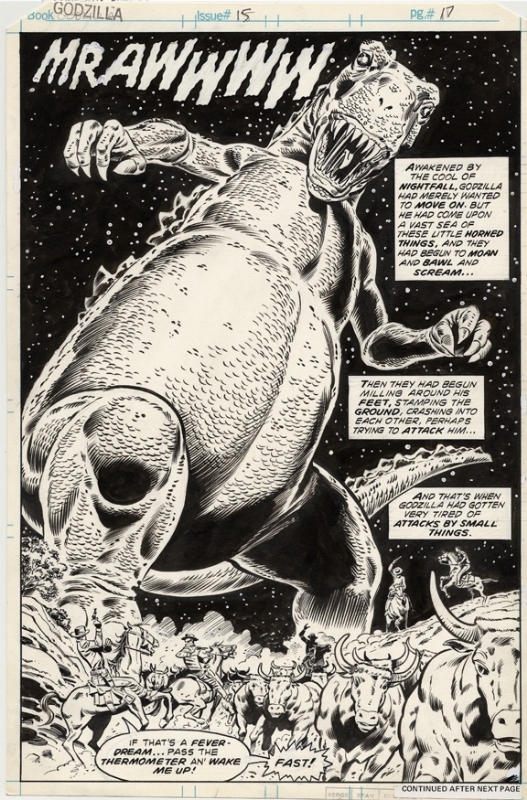 This entry was posted in Artist Spotlight, Herb Trimpe and tagged Godzilla, Herb Trimpe, Hulk. Bookmark the permalink.